This summer, Facebook has been making moves. In the last couple of months alone, the social network announced at least seven newsworthy announcements. Let me know if I’m wrong, but that has to be some kind of record. If not, kudos anyway, Facebook. We love the progress. To get the 411 on all of Facebook’s latest updates, read on. 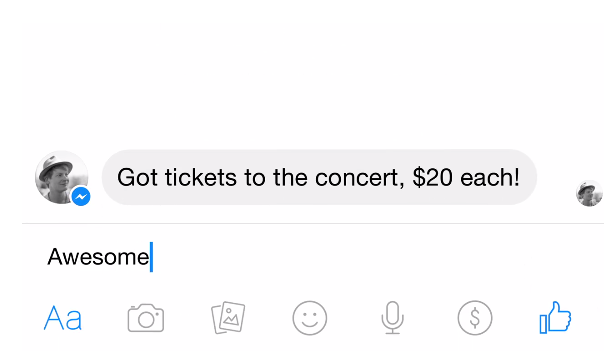 In June, Facebook announced a new payment feature that allows Facebook Messenger users (only in the U.S. for now) to send money to each other. For those familiar with Square Cash, the idea is pretty much the same. 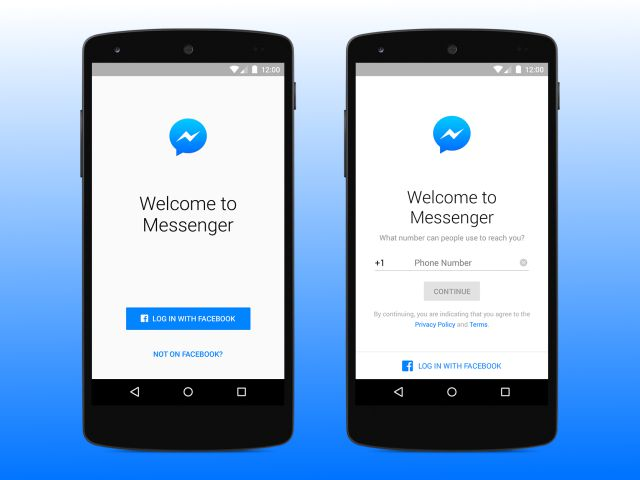 To use the service, first you must add your debit card through the Facebook Messenger app. This only takes a minute. Second, make sure the friend you are sending cash through has also added their debit card. Now you’re ready to open up a chat with your friend to send money. This service is free, but keep in mind your bank may take up to three business days to make the money available to you. Also, if you do not have the latest version of Facebook Messenger installed, you will likely not have access to this feature. In late June, Facebook announced that they no longer require you to have a Facebook account to join their messenger app. This might not sound like big news, but trust me when I say it is. Tying into the first update mentioned in this post, Facebook is making prudent efforts to monetize their products. The more barriers they knock down — like requiring you to make an account — the more newcomers they’re able to attract to their products. By broadening the scope of their products from purely entertainment focused to utility focused, Facebook is able to grow faster and become even more appealing to brands. In fact, just this past March, during Facebook’s last developers’ conference, it was announced that they were going to start letting brands and businesses use Messenger to send customers receipts or shipping updates for products they purchased, or handle customer support inquiries. Imagine ordering something off of Amazon and your receipt and package tracking information is sent to your Facebook Messenger app. This kind of reality is not far off. For more information on this update, read this post from Business Insider. Lead ads offer a simpler way for people to fill out forms on their mobile devices. It works by automatically populating contact information that people have given Facebook to create their accounts. 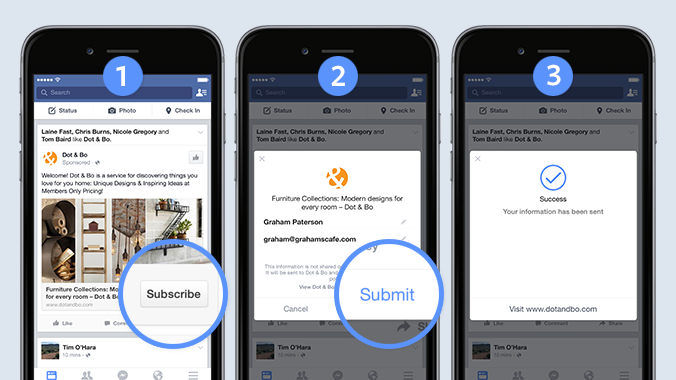 That way, when a user comes across a lead ad in their news feed, all it takes is a few taps to submit their form. Facebook figures, the easier they make the form-filling-out process for users, the more they’re able to help out the brands that use their platform primarily as a lead-generation tool. As with every new feature they announce, Facebook does their fair share of testing before they release it to the masses. Lead ads is currently being tested with a small group of businesses around the world. Facebook will share more information about the product when they’ve gathered feedback — stay tuned. 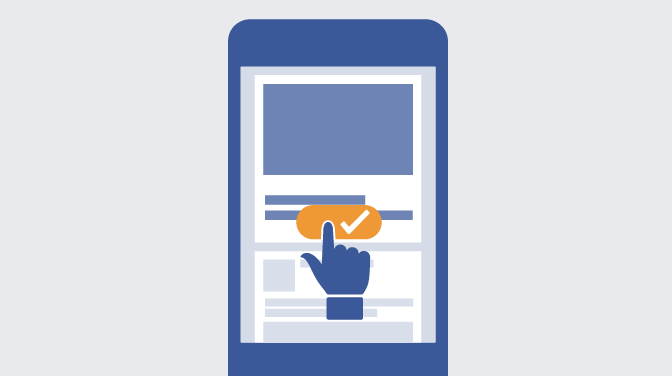 To learn more about Lead Ads, check out Facebook’s post on their business blog. Facebook wants you take more ownership of what you see in your News Feed with their new See First feature. 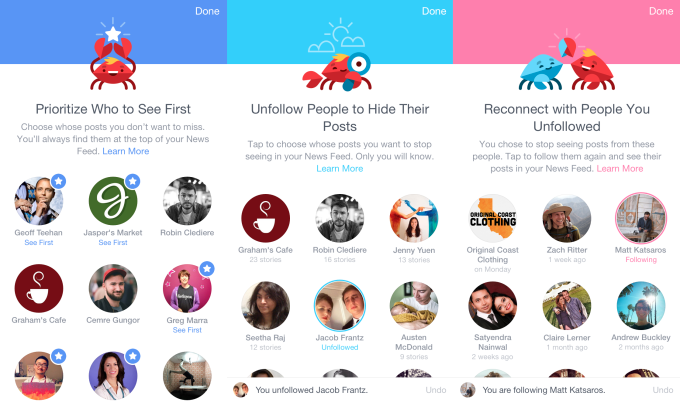 Here’s why you should be excited: See First lets you pick people or Pages you care about and see them in the most prominent spot on Facebook, the top of the News Feed, according to an article published on TechCrunch. Additionally, the new feature allows you to display the friends who’s shown up most in your feed and let you unfollow them, refollow the friends you have hidden, and discover Pages based on your declared interests. It was reported that See First was coming to the U.S. on iOS and other platforms on July 9th. If you’ve yet to check out the feature, it’s most likely because it’s not immediately noticeable. To access it, you must go to the bottom of the Settings menu of Facebook and hit the “More” button on Facebook’s mobile tab. If you have experience running Facebook ads, then you’ll know how frustrating it is that Facebook’s CPC (cost per click) metric accounted every kind of click — that is until recently. On July 8th, it was announced on the social network’s business blog that, as part of their latest API release, they updated the definition of a CPC on Facebook to only include clicks to websites and apps, and not likes, share and comments. For advertisers, this change offers clarity, allowing them to more easily understand the effectiveness of their ads. 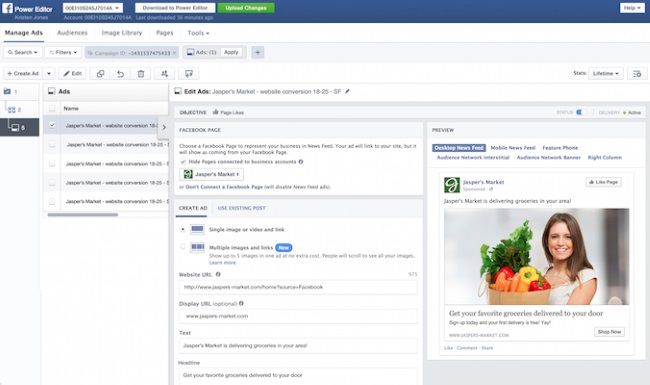 By the end of July, Facebook expects for this change to take effect in the Ads Manager and Power Editor. To learn more about the updated CPC definition, check out Facebook’s post on their business blog. At the beginning of July, new logos for Facebook’s ‘friends’ and ‘groups’ icons were released and slew of headlines commenced. Why did a few simple logo updates capture the attention of so many media outlets? In the original “groups” and “friends” icons, male silhouettes overlaid the female silhouettes. The new designs created by Caitlin Winner, the design manager at Facebook, featured women more prominently. For the full story on Facebook’s logo makeovers, check out Caitlin Winner’s Medium post. If you periodically run Facebook ads, then you will have noticed that both the Ads Manager and Power Editor have new looks and, more important, streamlined capabilities. To discover them all, I’ve found that it’s best to just dive in and start clickin’! Yes, that sounds a bit amateur, but there are so small tweaks that were made; it can become a bit overwhelming if you were to only rely on a dense article to learn about them. If you want to quickly become familiar with all Facebook’s ad platform updates, it’s simplest to take Facebook’s tours and set aside a good 45 minutes to explore. If you’d rather read up on the updates before you check out the updates for yourself, I recommend you visit the blog of my go-to Facebook ads expert, Jon Loomer. Loomer has two in-depth posts about the updates to the Ads Manager and the changes the Power Editor.